ACOUSTIC EXPO 2013: Total Guitar magazine features 116 pages packed with interviews, reviews and songs for you to learn each month. Their Learn To Play section combines full tabs and studio-quality backing tracks of the biggest songs in the history of guitar music; from classic riffs to the latest chart-topping guitar players. 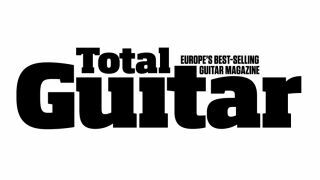 You can read Total Guitar in many different formats including in print, as well as on iPad, Android and Nook tablets. Click here to read about Total Guitar's exclusive Acoustic Expo subscription offer. The following video is just one great example of the high quality artist guest lessons you will find in the magazine. In our second example of the lessons you will find inside each copy of Total Guitar, here you will learn how to play Wonderwall by Oasis. To keep up to date with Total Guitar please visit their Facebook and Twitter pages, or view their latest videos via the official Total Guitar YouTube channel.